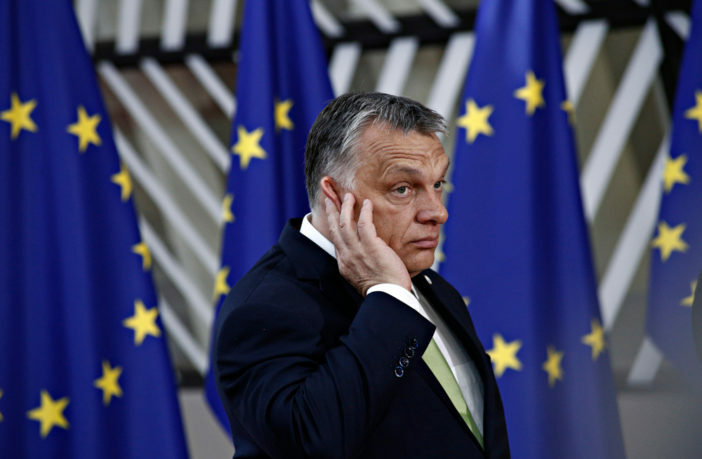 Despite Viktor Orbán’s half-hearted letters of apology to members of the European People’s about his most recent anti-Soros, anti-Juncker and anti-migrant campaigns, an expression of regret for employing the term “useful idiots” when referring to his Christian Democratic partners in the EU and a pledge to stop harassing Central European University, the EPP appears to have had enough and has finally voted to suspend Fidesz’s membership. The EPP voted by a massive margin to suspend Hungary’s ruling party: 190 votes in favour of a suspension to just 3 opposed. This is a temporary suspension, as the EPP launches an investigation into Hungary’s dictatorial ruling party. During this period, Fidesz politicians are barred from attending any party meetings, they have no voting rights and may not propose candidates for any posts. A group of three from the EPP will now investigate Fidesz, as well as the state of the rule of law in Hungary under the Orbán regime. They will be in communication with a delegation of three representing Fidesz. The three representing the EPP include Hermann van Rompuy, Wolfgang Schüssel and Hans-Gert Pöttering. The Hungarian ruling party will be represented by Katalin Novák, József Szájer and Judit Varga. It is worth noting here that Fidesz had agreed to this temporary suspension from the EPP and to the investigation. It appears as though this was a compromise solution, thus avoiding a permanent expulsion. Fidesz is keen to communicate this as something less than a defeat and embarrassment for the Hungarian regime. Mr. Orbán, speaking after the suspension, noted that just two months before the European Parliament election, the EPP has given left-centre opposition parties a huge gift. That said, Fidesz’s propaganda media is presenting this development as an instance where Fidesz itself demanded that it be suspended for a period of time from the EPP, rather than embarrassing punitive action against the wayward Budapest regime taken by its own allies. Meanwhile in Bern, Switzerland, Fidesz politician and Speaker of the Hungarian Parliament received a rather cold welcome on Wednesday. László Kövér was on an official visit. Shortly after his introduction by the Speaker, most members of the Social Democratic and Green factions left parliament in protest against the Orbán regime. 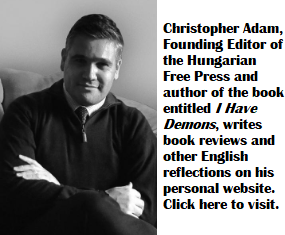 Increasingly, Viktor Orbán and his accomplices have become pariahs within the European Union. A very mild punishment and it keeps the viktor in the business of breaking up the EU and doing the same within the EPP. Orbàn, the wrecker, got a slap on the wrist, but a strong, painful one. Hopefully will later get a kick in the a….. The likes of Junker & Merkel have done more to start the process of EU breakup than Orban did or ever will. Orban does not want to break up the EU. Orbàn, the sociopathic liar, is spinning the event as “we decided to stay away for a while”, as if the EPP didn’t vote almost unanimously for the Fid suspension. I Hope the EPP member parties are pinched by the voters in May to wake them up to the ugliness of the budding fascism. All I have to say about this fiasco is that it is bad for both Fidesz and EPP. Orban may have apologized for “useful idiots” comments, but reality is that he apologized for speaking truth. Anti Orban fanatics inhabiting this site will rejoice the punishment, or lament the fact that EPP has not gone far enough. Reality is that in the longer run, this is yet another own-goal of the ruling establishment elites and the ideology they adhere to. They are less and less popular. they are failing to deliver results for their constituents, and they will own what is coming in the next five years. If they were truly shrewd, they would let the left and right anti-establishment win, and let them own it. Life in Germany is good, most people can go on holiday every year. If you go to a pub you can talk to Irishmen or Scots or British, Chinese, Spaniards, Portuguese or Hungarians. In my city there is a Spanish and a Portuguese club where you can enjoy original cuisine and drinks. It’s a colorful life … there. And the conversations are much more profound than yours. And how long before there will be no German culture left? Most people love German culture, so they want to go to Germany and not to Hungary. And Joe, if you emigrate as a German, your descendants stay German even after hundreds of years, German culture. There is not a single third generation ethnic German I met in North America who still speaks his/her native language. And I met countless such individuals. You have to look on the forehead there is stamped third generation German … to proof … then you wait for Weizenbier and Weißwurscht conversation. You are absolutely right. He wants to keep the billions of Euros coming into his corrupt coffers. What he’d like to do is to transform the EU into the same type of lawless, unjust, unsustainable Mafia-State as the one he and his pal Vladimir are running in Budapest and Moscow. The affinity fraud they’re running used to be called Communism. It’s new name is Populism. So far Orbán is getting away with murder, thanks to the ineptitude of the Liberal-Democratic establishment, which, as always, is doing nothing but watching the trains go by. Whether we look at GDP growth, Debt/GDP trend, employment growth, wage growth, decline in poverty, “corrupt” Hungary has been outperforming regional peer average since 2013. Keep up your baseless propaganda and you and all other globalist minions bashing Hungary, will manage to give corruption a good name. As for those EU funds? Britania used to fund construction of infrastructure, schools and other stuff in India. Do you think the Indians should have been grateful? The former communist part of the EU, with about 100 million people, relatively well educated, with decent infrastructure only gave rise to 1 Fortune 500 company thus far. Mexico by comparison has 4. It is not corruption, or any other nonsense, it is the designed effect of EU membership. The whole area is a profit extraction zone for Western multis. The size of those EU funds is puny compared with the size of profit extraction funds repatriated back West. Its neo-Colonialism and its perverse. Not as perverse as those who keep bringing up those EU funds, seemingly wanting everyone to believe it is a gift from the goodness of the collective heart of the neo-imperialists. Your BS about India, Mexico, new-colonialism imperialist is dumb Bolshevik/fascist crock since the EU money is distributed by Orbàn – mostly to himself (Mèszàros is worth over 1 billion Euro) and some bits around eg. to son-in-law Tiborcz. You can add that Orbàn scored a major victory against the EPP and that pigs fly in Orbanistan. You are using PPS not nominal. PPS is highly distorted, not a real gauge of nominal growth. If you take nominal Hu’s standing is even worse. The % of EU average is another index for ranking – Hu’s at the bottom again. Actually nominal data shows Hungary catching up to peers such as Slovakia. Hey Joe ! Where you goin’ with that gun in your hand? Hey Joe, instead of shooting BS from your muzzle why don’t you face the music ? Numbers don’t lie. Here are some of the stats I dug out for you on my way to the kitchen. Study the numbers and share it with the colleagues on your troll farm. 14. Orbán’s record on higher education is worst in Europe and constitutes a betrayal of Hungary’s youth. Nowhere has the overall preparadness of young adults fallen below the EU average as sharply as in Hungary. Lots of stuff for sure. Just opened up one of your links out of curiosity. Number 12 on elderly care. Data is 2015 OECD, not EU. In other words, outdated and not exactly the correct data, given that not all EU countries are members of OECD. Also, a lot of the stuff you are citing is not a reflection of Hungary’s performance since 2013, but rather of the fact that it is a former Communist country, and it includes the disastrous 2002-2010 period and its effects, as well as after-effects. I did not bother to open them, because your descriptions, as well as links suggest that they are mostly irrelevant to the specific topic. We have been down this road before. You always seem to want to use irrelevant or outdated data to try to make your point. So out of the 15 references, AG cared to submit, you “opened one out of curiosity” and OMG, found that it covers only four years of the Orbànjàràs. And you think this wins the day for you? If so, how moronic. This is the problem with the faithful fascists – one cannot reason or even communicate with them as they shrug off any facts, figures or arguments one may offer (they “have alternative facts”). The danger here is that this attitude leaves no other options, but that of force. Once the situation arises, in a well recognisable form, a democratic gov should force* such political organizations to adhere to the socio political and norms or eliminate them, just as students, job applicants, scientists, defendants, etc get failed, rejected or punished, if they can’t prove their point. * eg. by imposing respective fines or suing them and their representatives for misinformation, libel, hatespeech, incitement, etc. Many doctrinaire liberals disagree, I know. Sorry I forgot to put butter on your popcorn. Don’t be a sore loser. Force is a valid weapon when all else fails. The problem in Hungary is, the political opponents to Orbán’s neo-fascist governance are not simply at a disadvantage. They are also inept. This is the kind of revolutionary equation that makes for a perfect disaster.